After filming this video I started experimenting with baking powder and found that 3 tbsp added to the above mix improves the longevity and durability of the bubbles significantly. None of the bubbles made in the video used baking powder, so you can see it's not absolutely essential, but highly recommended. As I mention at the end of the video, the size of the bubbles that can be made increases greatly as you learn and improve your technique with the wand. Here is a source for J-Lube (one bottle makes hundreds of gallons of bubble mix). 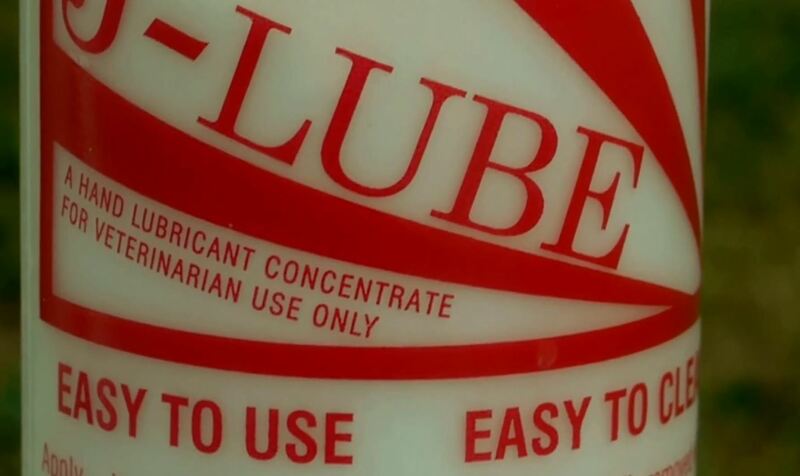 For those outside of the U.S., it may be difficult to find J-Lube. 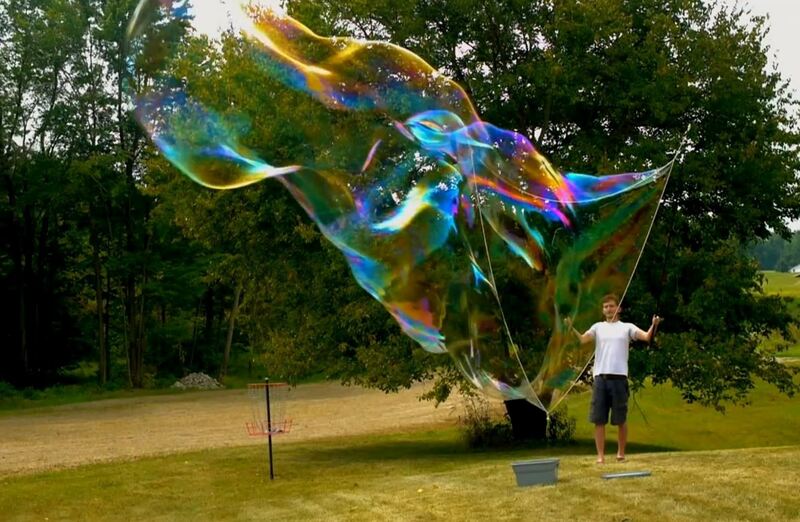 An alternative giant bubble mix uses Guar Gum instead. Guar formulas have a reputation of being even better than J-Lube under certain weather conditions, particularly when the humidity is low. Humidity and temperature make a big difference in how well bubbles are able to form. Guar Gum is common worldwide. More info about bubble mixes using Guar Gum and where it is available for purchase can be found here. For my bubble wand, I use two fishing poles similar to this model. The fishing poles come in four sections, but I removed the last section because it was too flimsy to support the heavy wet rope. The tri-string loop is attached to the end of the third section of each pole. As shown in the video, I use carabiners as an easy way of taking loops on and off, though a loop could just as easily be taped directly to the pole. 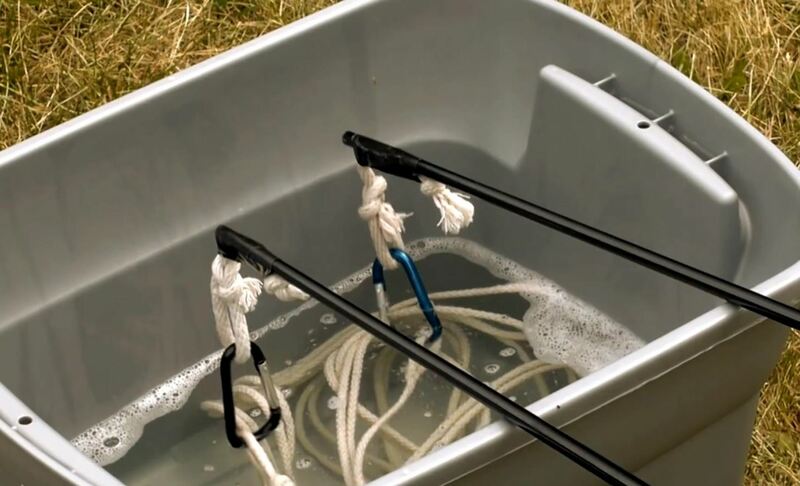 The rope I use for my tri-string loop is 100% cotton clothesline with the core removed, as demonstrated. 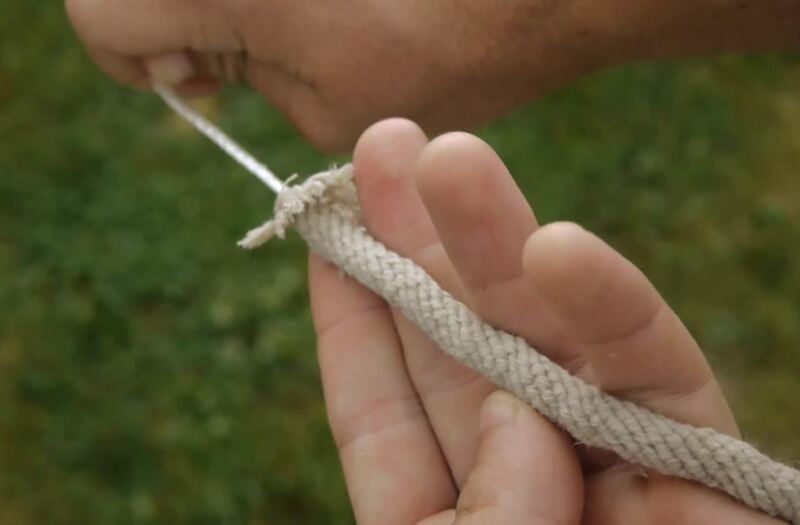 Removing the core allows the rope to absorb significantly more bubble mix which allows much larger bubbles to be made. For more information about making a tri-string wand (it's not a difficult thing to figure out on your own), you can do more reading here (there are also listed a number of other wand types that may be of interest). can't wait to try it, I really like the triangle bubble wand desgin! Thank you so much! I love love love big bubbles, and love seeing the looks on people's faces (young and old) when they see the bubbles for the first time. The carabiner idea is so awesome! Thank you. I have followed your techniques to great success and am doing shows with them already (I work as a ballon artist and bubbles are a great addition.) A couple questions. Does the solution get better, worse, or stay the same over time? I also notice the baking powder (or some form of it) seems to settle at the bottom. Does it need to be stirred up to be effective? Also, my best mixture so far has been with Dawn Ultra (the blue one) What brand of clear soap are you using? I tried Palmolive clear but it wasn't as good as Dawn. Thanks. You have done us a great service and if you are ever in Chicago, I will gladly buy you dinner. What a lovely article. Thank you for sharing. i realised it might be the soap. we dont get Dawn dish wahing liquid here and anything thats close to it doesnt work. ive used various other soaps and i do get bubbles but small and medium size. nothing like yours and the longevity too. what can i do to perfect this as its so frustrating and waste of alot of money !! !